GrubHub said it expects to price its initial public offering of 7.03 million shares at $20-$22 per share, valuing the largest U.S. online food delivery services provider at up to $1.72 billion. The Chicago-based company said the IPO is expected to raise about $155 million, based on the top end of the price range. GrubHub, which handles pick-up and delivery orders for restaurants online and via the phone, said it would sell 4 million shares in the offering. The rest are being offered by stockholders. The company is seeking capital to extend its network to more cities across the United States to sustain growth. GrubHub had about 28,800 restaurants and 3.4 million active users in its network as of Dec. 31, and processed an average of 135,000 orders daily in 2013. The company's revenue jumped 67 percent to $137.1 million in 2013, while net profit slid to $6.8 million from $7.9 in 2012. 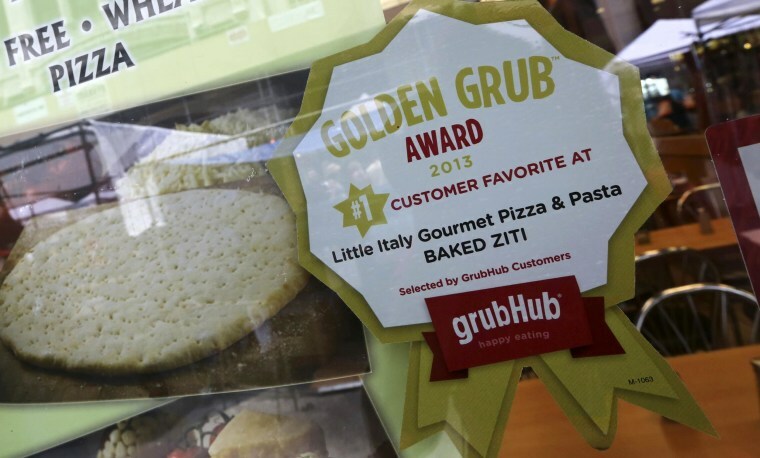 GrubHub is the latest consumer dotcom name to tap public markets in 2014. China's Twitter-like messaging service Weibo Corp and Chinese e-commerce company JD.com Inc have filed for IPOs in the United States. Others expected to try and go public this year include cloud storage provider DropBox and its more enterprise-focused rival Box. GrubHub, backed by Spectrum Equity, Benchmark Capital and Warburg Pincus among others, said it expects to list its common stock on the New York Stock Exchange under the symbol "GRUB". The company, created through a merger of GrubHub and Seamless last August, named Citigroup and Morgan Stanley as lead underwriters to the offering.